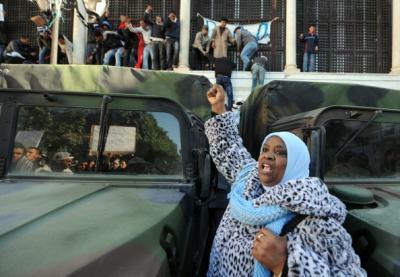 At one point, a rumor spread through Tahrir Square that Mubarak had fled the country. A massive cheer rippled through the crowd. People began jumping up and down in joy. One man wept uncontrollably. When it turned out not to be true, the cheers quickly ended but it provided a brief glimpse of the sheer raw desire for Mubarak’s ouster. Reports now indicate that Mubarak’s two sons and his wife, Suzanne, have fled Egypt, as have some of his closest business cronies. Many people believe that is a sign that Hosni will not be far behind. ….Meanwhile, across Cairo there is not a policeman in sight and there are reports of looting and violence. People worry that Mubarak is intentionally trying to create chaos to somehow convince people that he is needed. The strategy is failing. Residents have taken matters into their own hands, helping to direct traffic and forming armed neighborhood watches, complete with checkpoints and shift changes, in districts across the city. This is the Egypt I arrived in today. Fearless and determined. It cannot go back to what it was. It will never be the same. Read Kouddous’s full piece at here at Democracy Now. Western countries that sat on their hands while Ben Ali and his family strangled the country could show more enthusiasm for Tunisia’s peaceful revolution, says Zouhair Ouakaa. After living abroad for 20 years, I returned home to start a new life in Tunis. A sense of fin de régime hung in the air, though I never expected to get caught up in the amazing experience that will mark my county forever: the toppling of President Zine el-Abidine Ben Ali, the “ghoul” of Tunisia. As the revolution unfolded over the past few days, I walked the streets of the capital, exhilarated by the protests, startled at times by sniper fire. Still, I can’t help celebrating the achievement: My unarmed countrymen have ejected a strongman who had an iron grip on this nation of 10.5 million on the north coast of Africa. It makes me proud to be a Tunisian. After 23 years of brutal dictatorship, Tunisians staged a peaceful revolution that is quite miraculous in these times, for this part of the world. The ouster of Ben Ali ended a regime that confiscated all the basic civil rights of its people. No freedom of speech was allowed; wide censorship of the media and the Internet was the rule; persecution of human rights activists was common. Some say that Ben Ali’s rule was gentler than most in the Arab world, but for me it had all the strains of a police state, not unlike that of North Korea, reminiscent even of the Stalinist era. Ben Ali dominated with the tacit support of major Western powers and the implicit good will of other Arab states in the region. He positioned himself as the last shield against Islamism, especially after Sept. 11, when a lot of countries in the West saw in him a secular president who needed their full support in his fight against terrorism. As the world turned a blind eye, his autocratic regime busied itself with rampant corruption that reached all levels of the administration. Some 35 percent of the economy was in the hands of Ben Ali and his clan; unemployment was 30 percent among youths, who saw no future in Tunisia. They faced a bleak choice between immigrating illegally to the north border of the Mediterranean and resorting to the most backward interpretation of Islam. via The History Blogging Project. Blogging technology has created new opportunities for postgraduate historians to engage with specialist and non-specialist audiences, and to demonstrate the impact of their work by creating and informing new, virtual, public spheres and spaces. While there are a number of for-profit blog training courses in the private sector, there is no training provision in blogging as a method of public engagement for postgraduate historians. The History Blogging Project aims to fill this gap by developing a set of training resources that will enable postgraduate historians to create, maintain and publicise a blog on their research. The Project tackles issues specific to writing about historical research on a blog, but also includes themes relevant to any postgraduate student in the arts and humanities. Through the development of an online collection of how-to guides, advice and examples taken from current history blogs, the Project aims both to inspire postgraduate historians to blog and to challenge existing bloggers to think about the ways in which they share their research with a range of different audiences. At the same time, the Project aims to create a forum in which postgraduate historians can network and publicise their blogs. read more at The History Blogging Project. 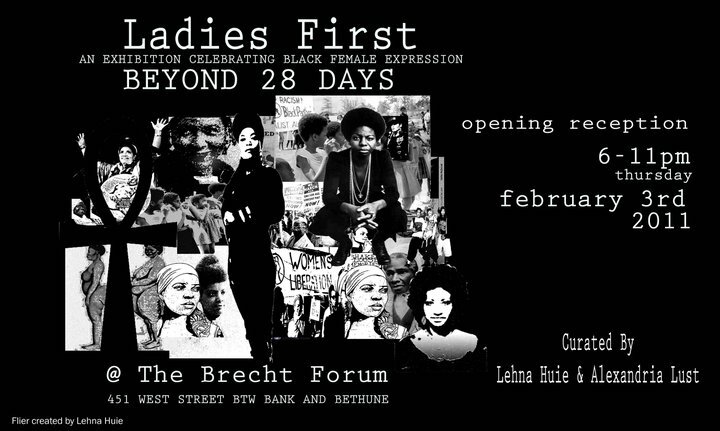 The “Ladies First: Beyond 28 Days” art exhibition at the Brecht Forum is a celebration of Black female expression through a visual and vocal dialogue surrounding the diversity of experiences and journeys of Black Women. Our stories are linked in time as our journeys are mapped in history. These are our footprints. Ladies First is a unique opportunity to share, reflect and identify ourselves within the Black Diaspora. 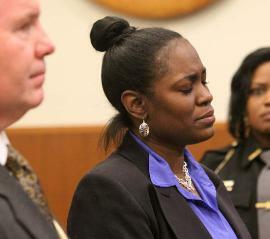 As you know, AmeriKKKa celebrates Black History Month annually during the month of February. Our history is deeply rooted far beyond 28 days. We believe that February is our time of bridging the past with the present. We believe in the power of art as resistance, art as consciousness, art as social commentary of our time. As creatively conscious thinkers, we bear witness to our world and respond in powerful ways. Ladies First is a momentum in creating awareness within a revolutionary space by celebrating and honoring Black women within the Diaspora. ….and more to come soon. Stay tuned.